Check out Tobi's Higher Ground Crop Top Lift your look with the Blush Higher Ground Crop Top. In crushed velvet, the halter crop top has cutaway shoulders and flattering ruching at each side. Pair this bodycon crop top with the matching mini skirt and heels for after dark glam. Lift your look with the Teal Higher Ground Crop Top. In crushed velvet, the halter crop top has cutaway shoulders and flattering ruching at each side. Pair this bodycon crop top with the matching mini skirt and heels for after dark glam. Lift your look with the Blush Higher Ground Crop Top. 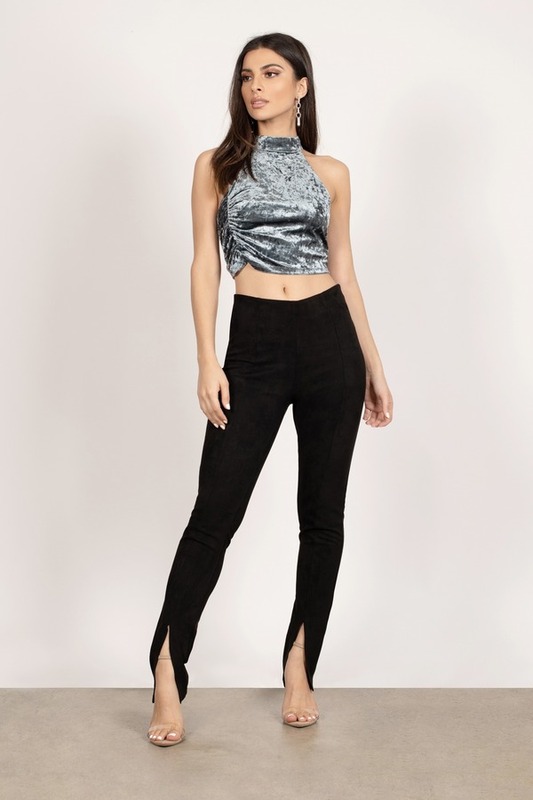 In crushed velvet, the halter crop top has cutaway shoulders and flattering ruching at each side. Pair this bodycon crop top with the matching mini skirt and heels for after dark glam. 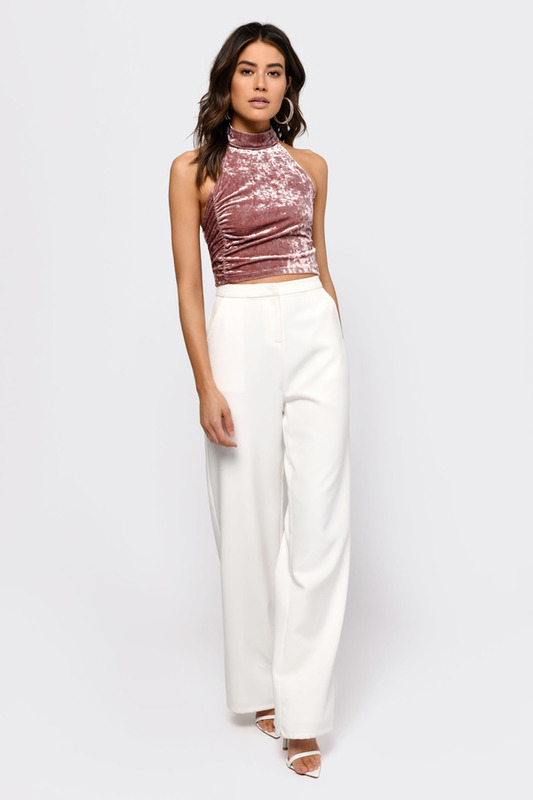 Lift your look with the Wine Higher Ground Crop Top. In crushed velvet, the halter crop top has cutaway shoulders and flattering ruching at each side. Pair this bodycon crop top with the matching mini skirt and heels for after dark glam. Blush, Teal modeled on a size Small.